Brixton Academy. 23 songs. Huge. 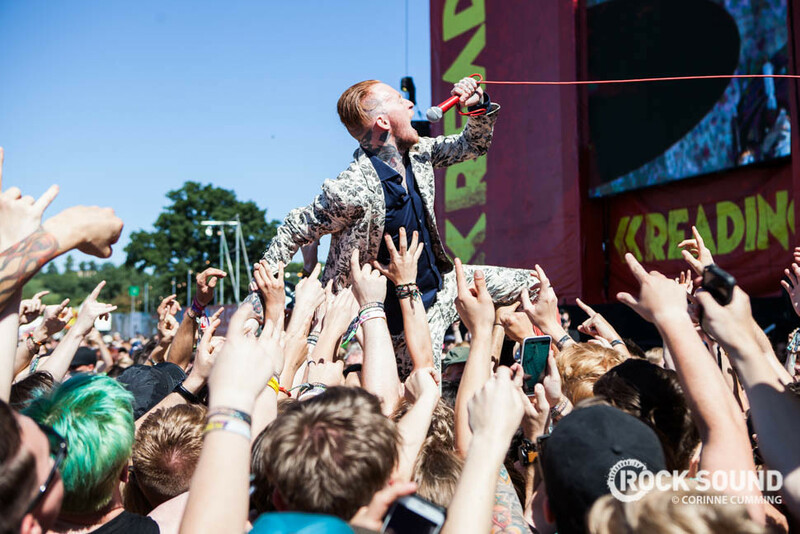 Frank Carter & The Rattlesnakes have revealed the details of a new live album called '23 - Live At Brixton'. It will feature all 23 songs that the band have released so far recorded live at their massive show at London's Brixton Academy next month. "Brixton Academy was always going to be a special show for us, it's where we all grew up seeing our favourite bands, our favourite shows - and to be headlining it so soon is incredible. To thank all of you that made made this happen, we have decided to take it to another level. Introducing "23 - Live At Brixton". We are going to play every single song we have released to date, the 10 tracks of Blossom, the 12 tracks of Modern Ruin and our new single Spray Paint Love. Maybe not in that order, maybe not as you've heard them before - but all 23 of them will make up the biggest celebration of the past nearly 3 years of this band." The album is available to pre-order now.